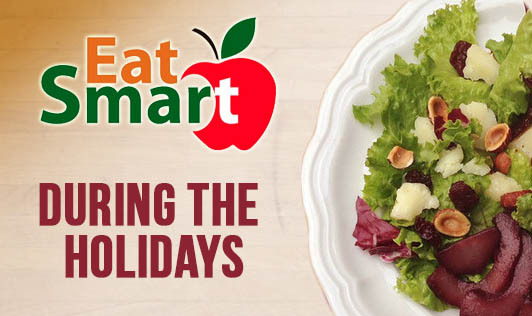 • Eat a light healthy meal before going out to a party or family gathering. • Drink plenty of water as it helps to delay hunger pangs. • Use small plates and load them up with salads and fruits. • Snack on salad vegetables such as carrots, cucumber, celery, lettuce, tomatoes when hungry. • Reduce intake of sweets, foods high in salt and fat. • Stay on track with your fitness program.